Maybe the winter is over and it is possible to wear few layers or none at all, so our arms will be ready to wear adornments matching the colours of our outfits. 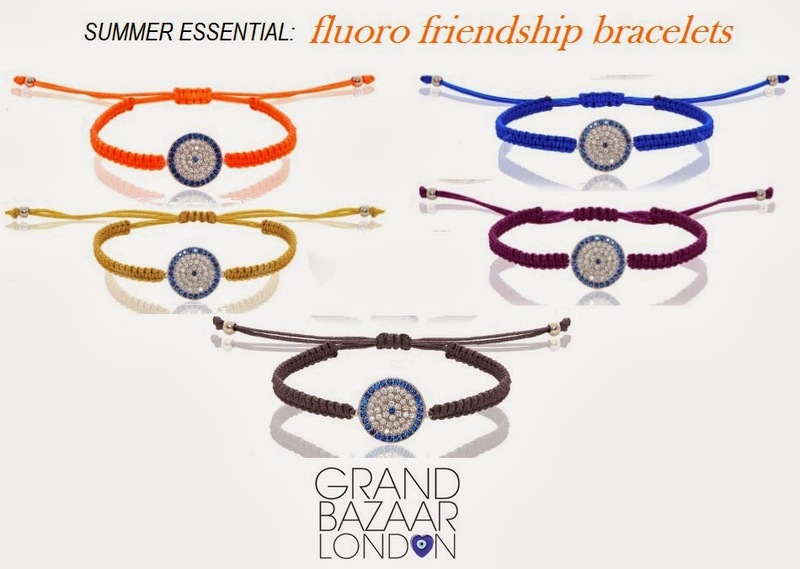 here a series of friendship bracelets from the Grand Bazaar London website. Bright and cheerful and at a great price, the jewellery on display will be the final touch before leaving the house. I find them lovely with their fluo colours and cubic zirconia set in the centre. My favourites are the orange and purple. They can be worn more than one together with the colours maybe matching the outfit. Love it, this bracelet is priced at £ 49.00 with the blue and white cubic zirconia, the adjustable bracelet and sterling silver beads.